If you choose to honeymoon in Napa Valley then you have made the right choice! Wine obviously first comes to mind when you think of Napa Valley, but it also offers a lot of romantic spots and fun attractions for every honeymooner to enjoy! Napa Valley is an hour-and-a-half drive from the San Francisco downtown. If you are living or vacationing in the city, the Napa Valley makes for a perfect getaway — whether just for a day, for the weekend, or longer. Visitors from many parts of the United States, as well as from all over the world, visit the Napa Valley to taste its world-class wines, see the gorgeous landscape, enjoy the finest cuisine, visit excellent shops, enjoy some serious sports from golf to tennis to water skiing, and get pampered at the highly-rated spas. Start in downtown Napa which has retained its unique charm. Beautiful old homes are now considered as the city’s treasures, and charming boutique homes are also a must-see. Take a leisurely stroll at a walkway on the banks of the Napa River which will lead you to the Hatt/Napa Mill Building, which are also historical treasures. Being in a wine country such as Napa Valley, wine tours of course will never go out of style and are a top priority on many people’s bucket list. As a honeymooning couple, you may want a more intimate wine tour. Check out some off-the-beaten-track wineries which aren’t so crowded as the major players: Artesa Vineyards and Winery, Burgess Cellars, Cliff Lede Vineyards, Honig Vineyard and Winery, Miner Family Vineyards and the Hess Collection (which is also an art gallery) are only just a few of the many “best-kept” secrets in Napa. If both of you are art and history lovers, you won’t feel short of these things to enjoy in the Napa Valley as it is the home of art, music, culture and architecture — not just wines and vineyards. Apart from the winery/art gallery the Hess Collection, check out the other museums such as Sharpsteen Museum, Sonoma Valley Museum of Art, Space Station Museum, di Rosa, Artists of the Valley, and many more. If you want to take your romance to new heights, do it with a hot air balloon ride! Balloons Above the Valley (BATV) is one of the top choices for couples on a honeymoon. 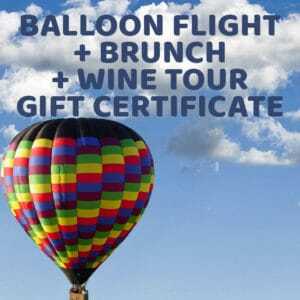 Since 1976 BATV has been providing safe and enjoyable hot air balloon rides over the gorgeous Napa Valley landscape, plus we other perks that will leave our guests hankering for more! Experience the beauty of the Napa Valley like you’ve never seen before by viewing it from the sky — well-arranged rows of grapevines, the rolling hills, and deep valleys will greet you as the sun rises. The view is simply spectacular! As long as you don’t have a fear of heights, then the ride will be an adventurous way to start the day. Not to mention it is so romantic! BATV’s highly-rated sunrise hot air balloon and wine tour packages are budget friendly with their fixed rates. But if you want a more romantic and intimate ride, choose our Exclusive Flights package, where you can have the hot air balloon virtually to yourselves alone. As the flight ends, a private table at the post-flight brunch celebration will welcome you. Prices in the Exclusive Flights package may vary so confirm the rates as you are making your reservation. We at Balloons Above the Valley will guarantee you the best and most unforgettable sight-seeing moment you’ll ever have. Riding a hot air balloon in the morning, over the gorgeous Napa landscape, will be the highlight of your honeymoon in Napa Valley.